There’s nothing like winding down after a long week with a cocktail and your favorite gal pals. After all, a celebration wouldn’t be complete without a flute of champagne or clinking together your favorite mixed drink. As much as I’d like to indulge on special occasions, this mama-to-be mixes them up a little differently these days. My bar cart isn’t stocked in a conventional way because for the next few months I’ll be sipping on my favorite homemade mocktails. Like I mentioned above, my weakness comes in the form of spicy jalapeño margaritas. To curb my craving while I’m waiting for baby to arrive, I’ve poured the perfect faux marg with all the flavors that I love about the original sip. 1. Combine the lemonade and club soda in a cocktail shaker and mix well. 2. Salt the rim of a margarita glass and pour in your mixture over ice. 3. 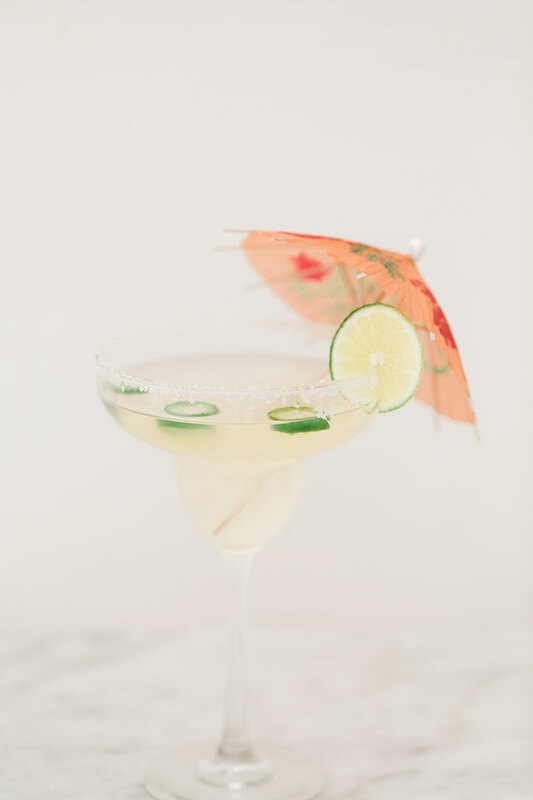 Sprinkle your sliced jalapeño into your drink and add a slice of lime to the rim as a garnish. Add a tiny umbrella if you’re feeling festive. If there’s one variety of vino that I’ve been missing, it’s a refreshing glass of rosé. 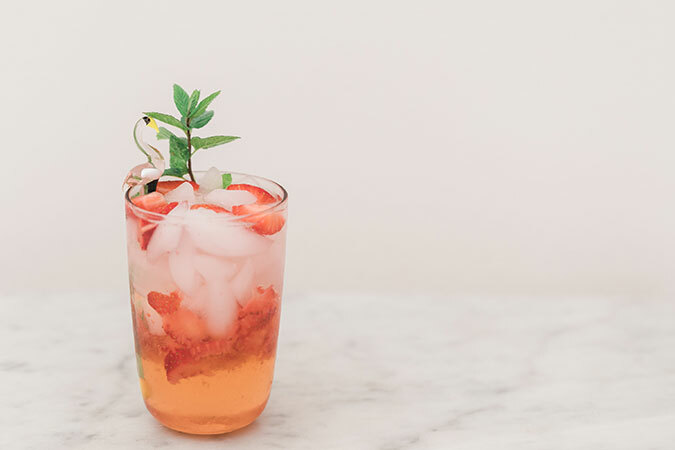 This strawberry faux-sé is the closest thing that I’ve found to the classic sip—it’s sweet and delicious in all the right ways! 1. Muddle slices of strawberry in the bottom of your glass. 2. Add your ice over the strawberries and fill the glass ¾ of the way full with tonic water. 3. Add a splash of rosewater to the mixture and garnish with a sprig of mint. This sip is seriously refreshing! 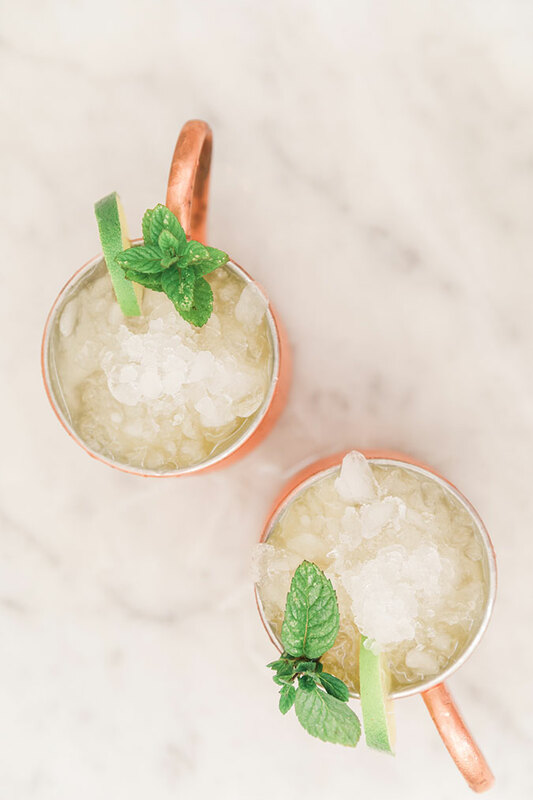 This one is for all of the Moscow mule lovers out there. With a combination of ginger beer and mango juice, this sweet sip is a treat. The best part is that you can substitute the fruit for whatever flavor you’re currently craving. Yum! 1. Begin by filling your glass with crushed ice. 2. Fill the glass with equal parts ginger beer and club soda, adding a splash of mango juice to the top. 3. Garnish with a sprig of mint and slices of lime. 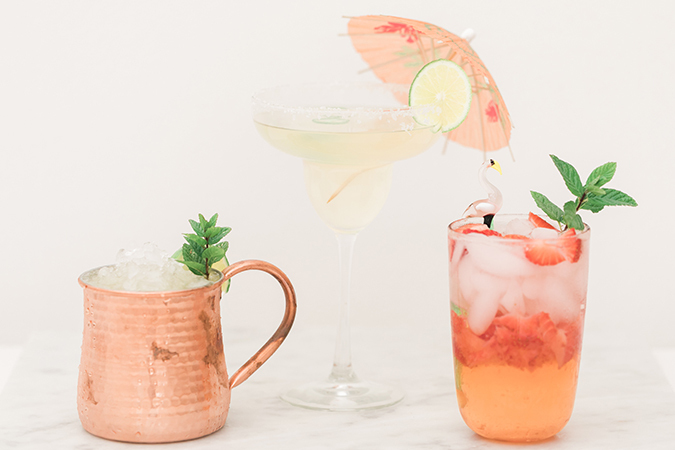 Do you have a favorite mocktail recipe? Let me know your favorites in the comments so that I can try them out too!